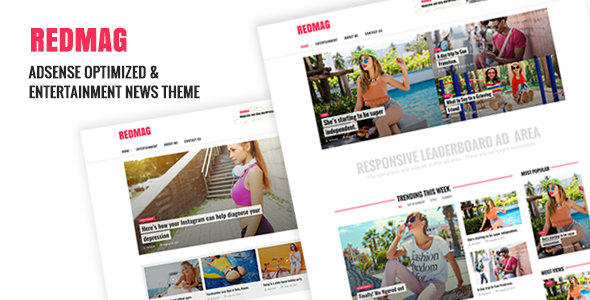 RedMag theme is an outstanding source of information and entertainment for all the people and is a powerful theme designed for monetization across multiple income streams. Fully responsive Google AdSense ad units ensure that ads will display properly across all devices and screen sizes. RedMag’s ad “hotspots” are strategically placed throughout this content-driven theme to attract the eye without compromising the user experience. * Fix css issues RTL language. * Updated .POT file translation language. * Updated change Image Title . * Update keep menu bar.